March 10, 2019: Soline Schweisguth met the historian Peter Frankopan in Oxford. 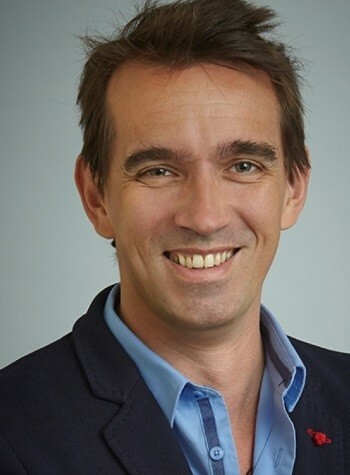 Peter Frankopan is a Professor of Global History at the University of Oxford (Worcester College) and the Director of the Oxford Centre for Byzantine Research. His book, The Silk Roads (2015), has met global success, including in China, India and Pakistan. In 2018, he published a sequel to this essay in which he tackles modern geopolitics: The New Silk Roads. In his first book, Peter Frankopan offers new insights into world history, centred on the countries along the silk roads. « Far from being on the fringe of global affairs, these countries lie at the very centre - as they have done since the beginning of history ». From Antiquity to the present, from the early Christianisation movements to the war in Iraq, including the rise of Islam during the seventh and eighth centuries, not only does Frankopan provide us with a rarely told story, but he also presents a new take on the European traditional narrative. 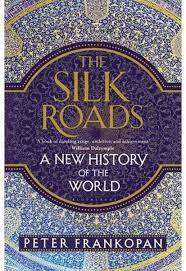 In November 2018, Peter Frankopan published The New Silk Roads: The Present and Future of the World. The title reminds the reader of the policies led by the Chinese president Xi Jinping who announced in 2013 his desire to develop new trade routes through the continent. China has invested several billions of dollars in maritime and railway networks. Alongside discourses about cooperation and free trade, China has offered huge loans to countries in Africa and in Asia as development assistance. This might boost the economic performance of those countries but within the framework of an unnamed neo-colonialism… Peter Frankopan depicts and analyses the increasing power of countries along the ancient silk roads in a world « that is moving its economic centre of gravity away from the west ». Peter Frankopan admits: « A new world is emerging in Asia, but it is not a free one. ». 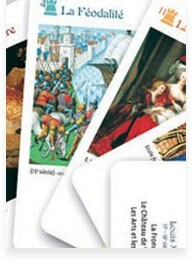 Herodote.net : In your book The Silk Roads, you rewrote the history of the world from the Antiquity, focusing on the countries along the silk roads, from China to the Middle East. How does this point of view shed new light on the traditional Western-centred narrative? When writing my book, I was interested in doing three things. 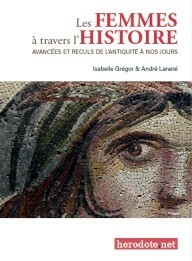 First, to examine the histories of peoples, cultures, exchange etc. that are usually passed by when we think about the past. 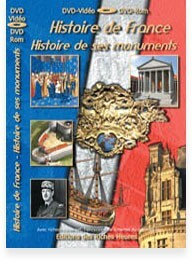 We pay a lot of attention in history to the Louis XIV, Henry VII, to Napoleon and Hitler. But we do not spare more than one or two words for the Byzantines; for the Ottomans; for the Abbasids or the Chola, Khmer or the many Chinese eras and dynasties (to mention just a few major gaps). I wanted to write about those who have disappeared from the traditional story of the past. But secondly, I wanted to show how even the history of Europe and the West has been directly linked to the parts of the world that lie to the east of Venice and Istanbul, to which we pay no attention. I wanted to show that even our own conceptualisation of history is misleading since it does not just omit others, but it twists the story through such exclusion. 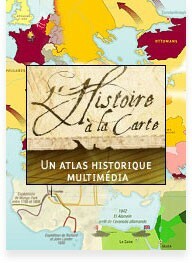 There are many wonderful scholars who work on parts of what I have written about, who examine the problems of Eurocentrism or the limitations of the way we look at periods (what, exactly, are the « middle ages » for example, and what does this period mean for someone in Africa, the Americas, South East Asia etc? ), and also how we look at geography by breaking the world down into countries and regions that we then study exclusively. I think history is most exciting when we look at exchanges (violent and military of course, as well as commercial, religious, diplomatic etc), and so this is what I have tried to do. In your second book The New Silk Roads, you depict the current world as one in which the political and economic initiatives of the East are dwarfing that of the West. To what extent can we draw a parallel between this situation and that of the Great Divergence, when Western Europe was leading the Industrial Revolution ? Historians have very strong opinions about the causes, consequences and nature of the Great Divergence. But it seems to me that prosperity, growth and hope for a better future drive change. The rising wealth in places like India, China, the Gulf, South Korea and South East Asia in the last few decades has been breathtaking. This has not come at the expense of the west, but rather hand in hand – we have all benefited from global supply chains that have made goods we want cheaper and more affordable. What has been problematic, however, has been the rising levels of inequality in Europe and the US, the loss of jobs (or, more precisely, the lack of wage growth). Our continent is in a state of disarray and profound confusion, unhappiness even. Thus we can look at Brexit, at the gilets jaunes, at movements in Catalonia for independence, at the rise of the far right (and far left), and countries like Hungary and Poland seeking a very different course. This looks very different to me to what I can see in Asia. While it is important to note that there are frictions, tensions and multiple challenges affecting individual countries and in some cases highly complex relations with neighbours, the fundamental point is that 65% of the world’s population live east of Istanbul; this is where almost 70% of the fossil fuels come from, as well as major shares of wheat, rice and other goods too. With no colonial powers to extract these resources as in the past, it stands to reason that what goes right – or wrong – in Asia, will shape the world’s future. Xi JinPing’s implementation of the One Belt One Road is accompanied by references to the silk roads. To what extent is that discourse a reference to the past ? To what extent are the new silk roads a marketing name when most of the trade is still maritime or towards the United States? Well it is perhaps not surprising that the Chinese Silk Roads are specifically about land and maritime connections (the ‘Belt and Road’ referred to in the official title). As a historian, it is notable that many countries are talking about returning to their idealised, glorious past. So we also have « Take Back Control »in the UK, the slogan behind Brexit, which implies a reversion to something better. Or in the USA, where one cannot help note that it is not « Make America Great » but « Make America Great Again ». Others, like Turkey, Russia, India, Pakistan (it is a long list) see a value in framing the present and future in the context of the past. That is why, I believe, provides a very good reason why we should spend more time studying history !